I am in impatient person LOL, I want spring to rear its head and stop all this snow. I love winter, I do, but I'm staring at mountains of snow and more coming. I should be writing, I really should and I am it is just not sunny out. Of course, people say that is price for living up here in Maine. The secret is that all the seasons in Maine are beautiful and I'm just ready for the next one to begin. LOL. I said I would try to utilize the blog more and I am. Not all posts have to be about my books. I'd best get moving here I need to fix Eggplant fritters today. They are well worth the time involved to put together, especially if you are a veggie lover. 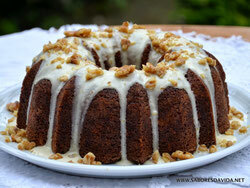 Oh, and then, I want to make an apple bundt cake, my recipe has no eggs in it and is so moist. Winter really needs to end LOL. I have been reading your posts regularly.